Saudi Foreign Minister Adel al-Jubeir has said that the measures taken against Qatar were not aimed at harming it, but instead, helping it as he denounced Doha's alleged support to terrorism at a press conference in Cairo. According to an official statement, al-Jubeir said, "We don't accept that Qatar, a GCC and Arab League ally, to host an air base from which aircraft fly to attack Daesh and at the same time it harbors and finances terror groups and networks and ignores those who recruit terror-prospect youths." He denied taking the announced measures to harm Qatar and said, "Instead, we want to help it as this goes in the benefit of Qatar, our countries, the region and the world." Saudi Arabia, along with Egypt, Bahrain and the United Arab Emirates, last month severed diplomatic ties with Qatar, accusing it of supporting terrorism. The Saudi-led coalition presented a list of 13 demands were made to Qatar in order to have sanctions lifted but on Wednesday Doha rejected the list which demanded closure of broadcaster Al Jazeera, closing a Turkish military base and downgrading links with Iran. 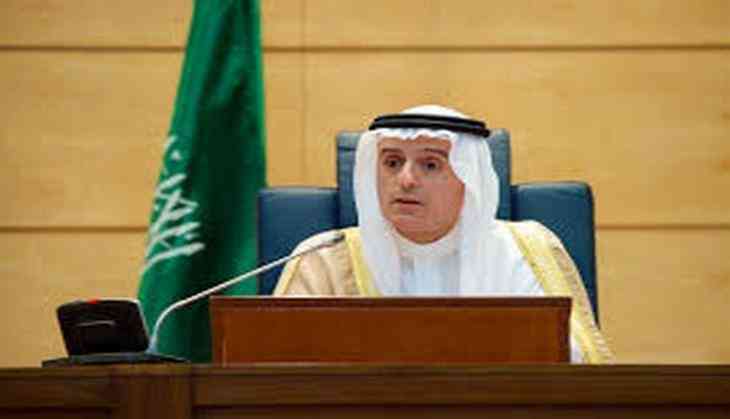 At the conference, al-Jubeir raised what he termed as some sort of tolerance for extremists in Europe where they are free to work under the pretext of freedom of opinion. He expressed belief that some European countries started to be aware that some terrorists and extremists are practicing hatred address which directly leads to violence. He concluded that such policies should be reconsidered. The minister stated that Saudi Arabia has adopted a new approach to address the issue of terrorism intellectually, citing changes in education, media and information, public dialogue and rehabilitation programs, cultural programs and establishing anti-terror and extremism centers abroad. He also stressed the need for an international cooperation, in terms of money and mentality, to fight the phenomenon as imperative conditions for success.